Hugsteypan (b. 2008) is a collaboration between Ingunn Fjóla Ingþórsdóttir (b. 1976) and Þórdís Jóhannesdóttir (b. 1979). They both graduated from the Visual Arts Department of the Iceland Academy of the Arts in 2007. Ingunn also holds a degree in Art History while Þórdís has an art teaching certificate. 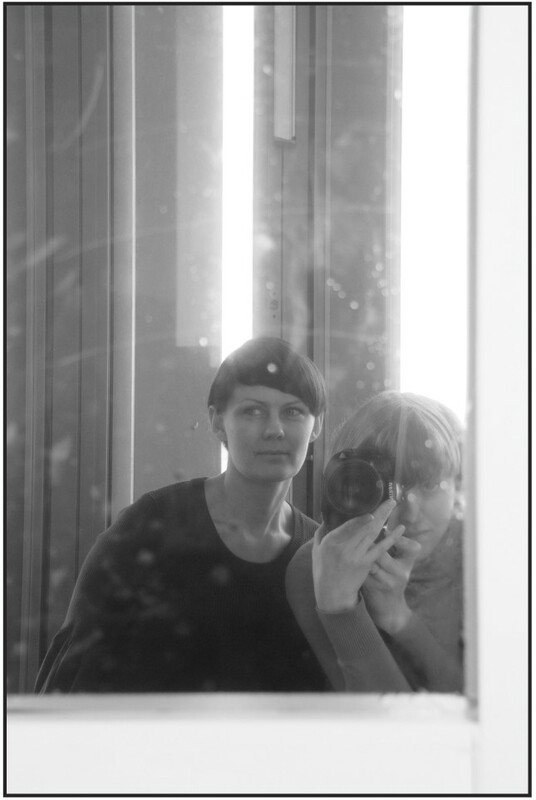 For the past five years Ingunn and Þórdís have been working on their collaborative projects as Hugsteypan in tandem with their own individual art projects. As Hugsteypan they have exhibited widely in museums and galleries in Iceland as well as in group exhibitions abroad. Hugsteypan´s projects have been funded by grants from the State of Iceland, Sím (the Association of Icelandic Visual Artists), the Icelandic Art Center and the Icelandic Visual Art Copyright Association. In her art Þórdís has mainly been working in photography, while Ingunn´s work is rooted in painting. Both artists have been exploring the possibilities of their media in a critical way trying to find new ways of presentation. Their different backgrounds meet in the work of Hugsteypan, where the subject matter can range from reflections on art history and the nature of art to a humorous use of scientific research methods. As Hugsteypan´s work is the outcome of dialogs between the two artists it often evolves over a longer time period. The works of Hugsteypan can include several medium such as photography, sculpture and video but mostly site specific installation. Hugsteypan er samstarfsverkefni Ingunnar Fjólu Ingþórsdóttur (f. 1976) og Þórdísar Jóhannesdóttur (f. 1979). Þær útskrifuðust báðar úr myndlistardeild Listaháskóla Íslands árið 2007. Áður hafði Ingunn lokið B.a. prófi í listasögu, en Þórdís lauk kennsluréttindanámi árið 2009. Síðastliðin ár hafa Ingunn og Þórdís starfað jöfnum höndum saman undir merkjum Hugsteypunnar og í sitt hvoru lagi við eigin myndlistarverkefni. Sem Hugsteypan hafa þær tekið þátt í fjölda sýninga t.a.m. í Hafnarborg, Kling & Bang gallerí, Listasafni Árnesinga, og Listasal Mosfellsbæjar auk nokkurra samsýninga erlendis. Hugsteypan hefur hlotið styrki frá Kynningarmiðstöð íslenskrar myndlistar, SÍM og Myndstef auk þess sem Ingunn og Þórdís hafa báðar fengið úthlutun úr launasjóði myndlistarmanna. Í sinni myndlist hefur Þórdís aðallega fengist við ljósmyndun á meðan Ingunn hefur unnið málverk og innsetningar, en báðar hafa þær unnið út frá miðlunum sjálfum á rannsakandi hátt og leitast við að finna á þeim nýja fleti. Ólíkir bakgrunnar þeirra mætast í verkum Hugsteypunnar þar sem efnistökin geta verið allt frá hugleiðingum um listasöguna og eðli myndlistar til kíminnar notkunnar á viðurkenndum aðferðum rannsókna til að vinna myndlistarverk þar sem útkoman er alltaf fagurfræðileg og frjáls eftir því. Þar sem verk Hugsteypunnar eru afrakstur samtals milli þessara tveggja listamanna geta þau oft átt sér langan aðdraganda. Verkin eru unnin í ýmsa miðla, þó oftast í formi margþættra innsetninga.